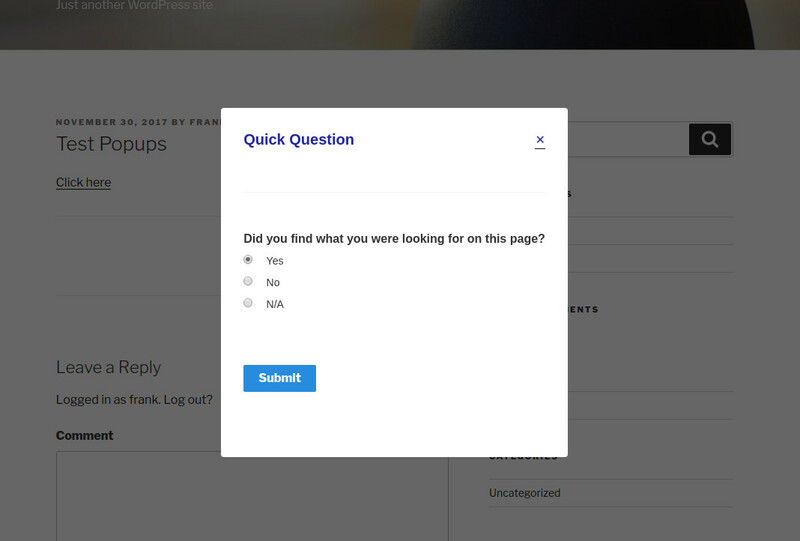 Have you ever wanted to have your quiz or survey inside of a popup? With this easy to use addon, now you can! 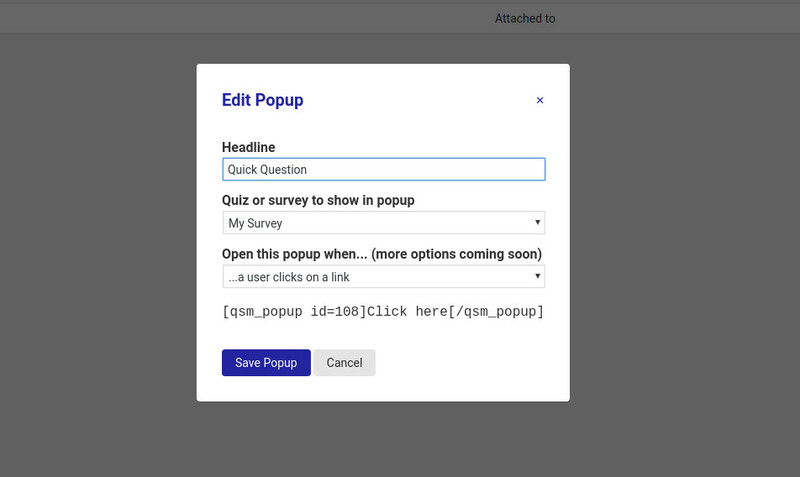 This addon allows you to create a link that will open a popup with a quiz or survey inside. Using the addon’s simple UI, you can create popups within minutes. Click here to open the demo survey! Addons include 1 year of support and updates. View license terms. This addon requires Quiz And Survey Master 6.0 or newer. Requires WordPress 4.9 or newer.